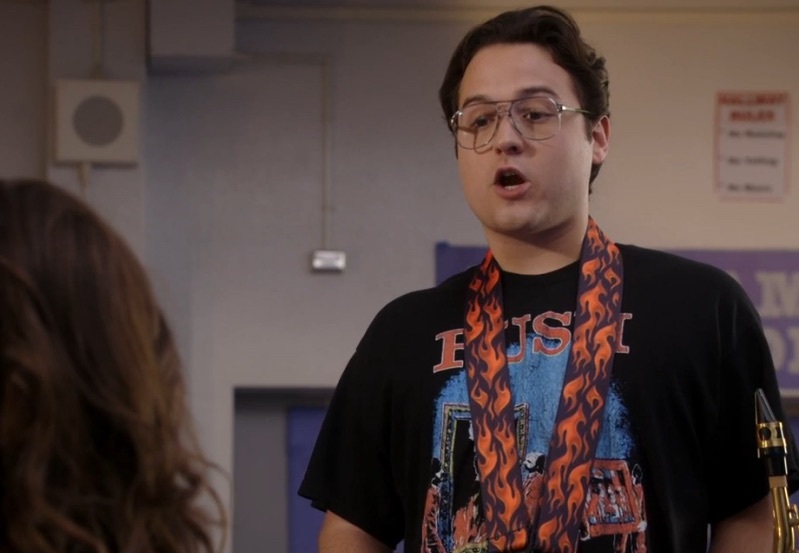 There was a major Rush t-shirt appearance on last night's episode of the ABC '80s sitcom The Goldbergs (Season 3, Episode 2 - A Chrous Lie). 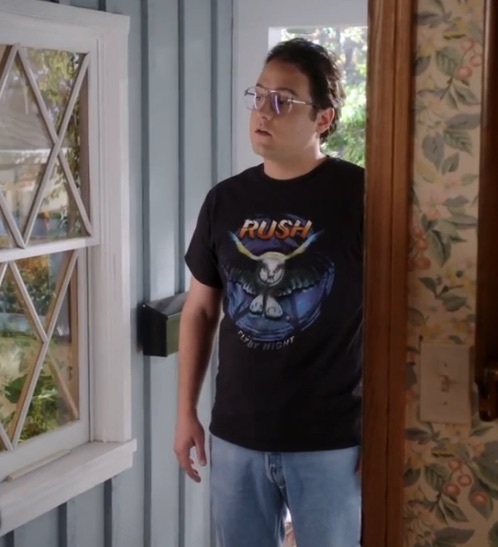 Erica's potential date to homecoming is a Rush fan and is shown wearing three separate Rush t-shirts at different points in the show; a Moving Pictures shirt, a Fly By Night shirt and a Hold Your Fire shirt. 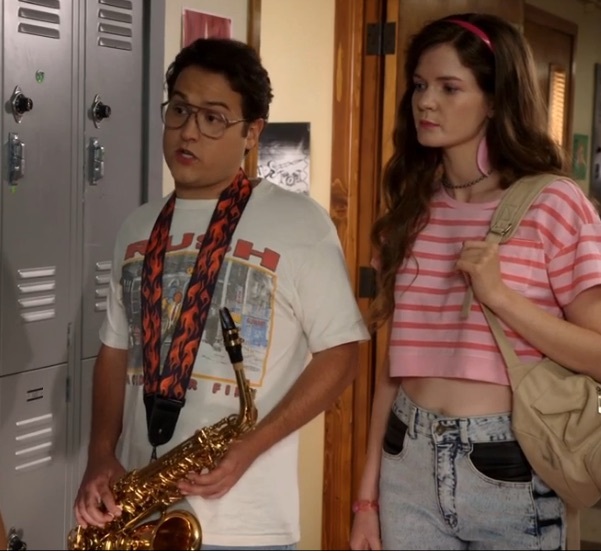 You can watch the episode online at the ABC website here. 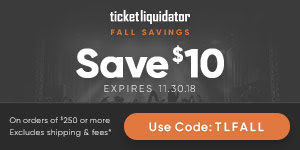 Thanks to Ken and Angie for the heads up.